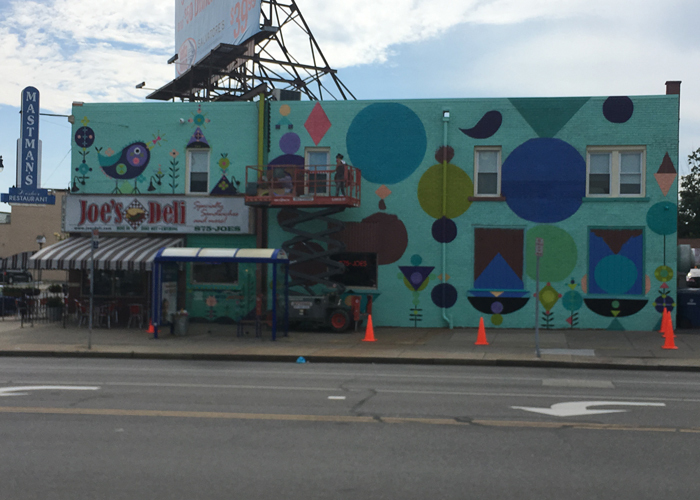 Joe’s Deli Hertel location got a facelift this Summer as a colorful mural was painted that surrounds the building. 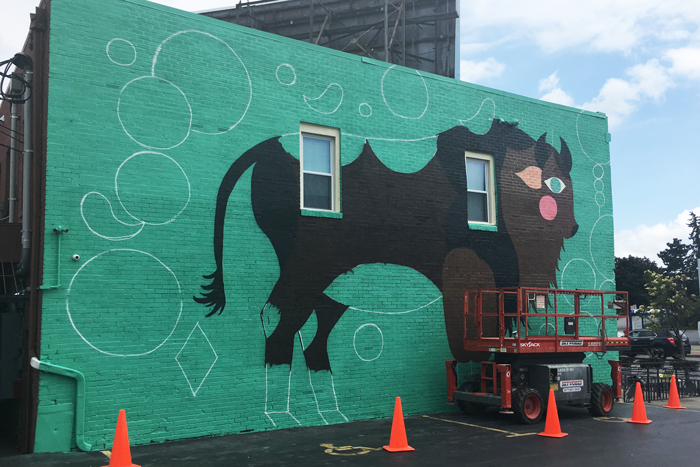 Bunnie Reiss’s “Magic Buffalo” mural, was influenced by, “… her Polish and Russian heritage—especially Poland’s brightly colored folk art and the magical worlds of Russian fairytales — as well as her interest in unseen histories and our connection to animals and nature,” according to the Albright-Knox Art Gallery who commissioned the artwork. 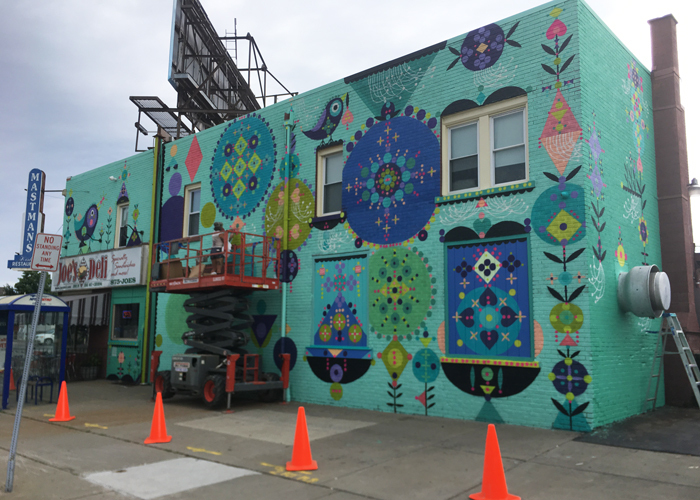 Just another reason to visit us at our North Buffalo location on the corner of Hertel and Colvin Avenues, stop and check it out in person. To read more about the artist, check out her website www.bunniereiss.com. 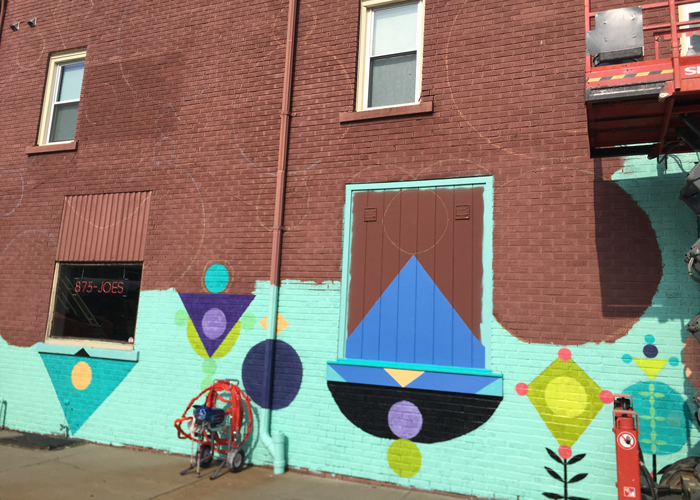 The mural was made possible in part by the City of Buffalo and Council Member Joel Feroleto. 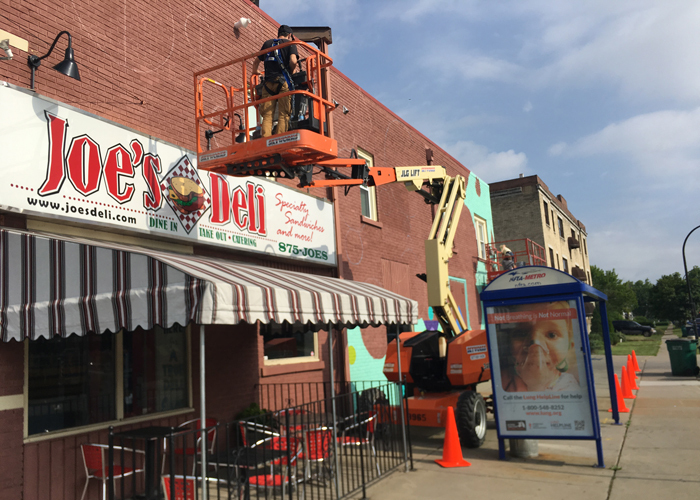 Additional support has been provided by Joe’s Deli and the Albright-Knox Art Gallery and it was generously underwritten by the New Era Cap Foundation.